Connecticut has a reputation of being one of the most haunted states in the country. Whether you believe in the paranormal or not it is hard to deny that there are some rather creepy locations scattered throughout the state. Below we’ll list 5 of the many locations filled with local lore of hauntings. Before we get into the list it must be noted that some of the locations below are on private property and must be treated as such. Located in Bridgeport, the old Remington Arms Factory which has now fallen into complete disrepair was once a large compound that produced tons of ammunition and weapons each year. reports say that in 1942, during the height of its war-time efforts, a deadly explosion occurred on the production floor, a horrible accident that killed seven workers and wounded 80 others. Many say that this event is responsible for the shadowy black figures and dark shadows which have been reported by numerous folk over the years. Note that a large portion of the factory was destroyed in a 2014 by a fire. Located next to the Easton Baptist Church, the nearly 400-year-old Union Cemetery in Easton is argued to be one of the most haunted spots in Connecticut. Renowned ghosthunters Ed and Lorraine Warren have visited the site and even wrote a book about what they found. The White Lady, who has been seen by dozens of witnesses and even captured on video is said to wander the cemetery as well as the road outside. Opening in 1931 in Newtown to help alleviate the overcrowding at other state mental hospitals, Fairfield Hills housed patients from across the state. Built on over 770 acres, the 16 buildings which were all connected by underground tunnels housed over 4,000 patients when filled to capacity. After a long and dark past Fairfield Hills Hospital has slowly started a new chapter in the properties life. The Town of Newtown selected Bridgeport Hall, one of the buildings located on the grounds, as the location for its new municipal offices. It was dedicated in late 2009, and is now called the Newtown Municipal Center. The Newtown Volunteer Ambulance Corps. also built an Ambulance facility on the Campus which opened in 2014. Completed in 1909, the lighthouse was originally named Southwest Ledge; however, to avoid confusion with the lighthouse having the same name in New Haven harbor, the name was then changed to New London Ledge Light. 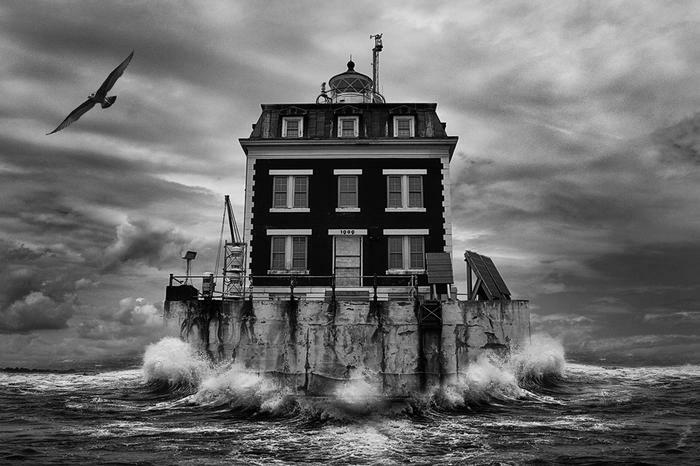 Legend has it that the ghost of a former lighthouse keeper haunts the lighthouse to this day. He sometimes turns on the foghorn on clear days and unties boats docked to the lighthouse. There are also cold spots inside as well as strange noises and whispers heard by visitors. For more than 120 years, the 52-room Yankee Pedlar Inn located in downtown Torrington had welcomed guests, and ghosts, according to some until it’s closure in recent years. A few of the rooms have been alleged to house spirits, specifically Room 353, where the inn's original founder, Alice Conley, is said to have died. Her rocking chair which is located in the lobby has allegedly been witnessed rocking on its own by guests and visitors. As stated above some of the locations that appear on this list are privately owned or closed to the public. Local Connecticut does not support trespassing or tampering of private property of any kind.